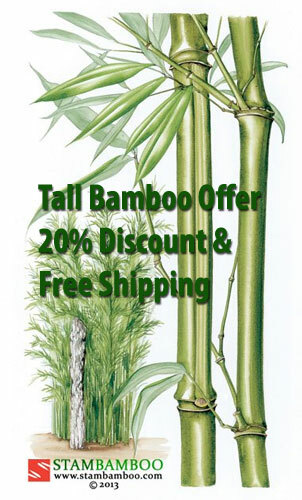 Every single bit of this tall, handsome, clumping bamboo is a treat for the eye. 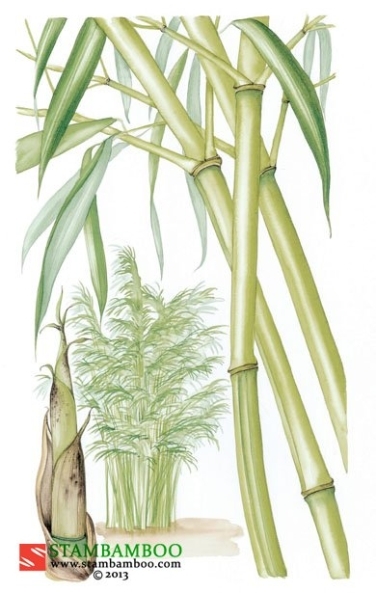 The emerging culms are clad in big, papery sheaths which are delicately hairy on the outside and scintillatingly shiny on the inside. 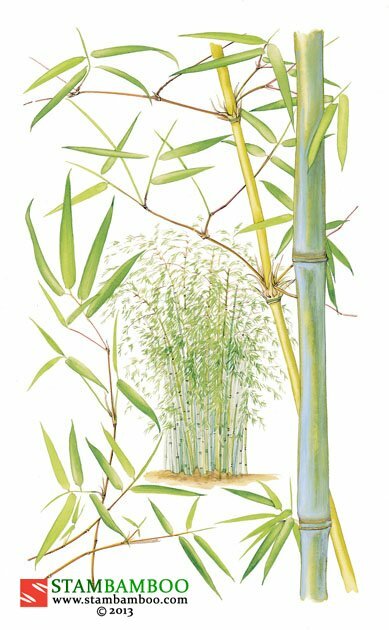 The canes themselves are covered in a powdery bloom that imparts a blue luminance to their slender, upright forms. 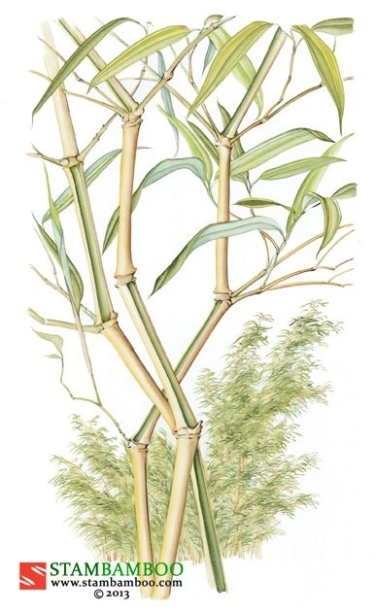 When mature, the canes arch slightly and mellow to a suave olive-green colour, which turns a reddish-brown hue in good light. 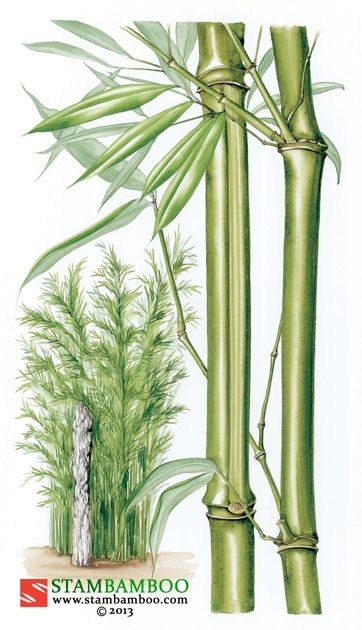 The tiny grass-green leaves are the smallest among bamboos and are carried on a fine network of branches and branchlets, giving an incomparably ethereal, lacy profile. This heavenly specimen enjoys a sheltered position in moist, dappled shade.